Is suicide what it takes? It’s the 31st December 2014 and so today seems like an appropriate time for this post. Tomorrow is traditionally all about new beginnings; the first day of the new year. This year, I wish that our society as a whole will vow to change their mindsets and stop discriminating against different races, genders, sexual orientations, ect. 2014 has been a controversial year. We have seen gay marriage legalised in many countries and states; we have seen the overwhelming support of #illridewithyou that showed Australia’s support towards people who wear religious attire; and we have seen the less heartwarming stories – Michael Brown fataly shot in Ferguson, Missouri, by police officer and, more recently, the suicide of transgender 17 year old Leelah Alcorn. All are stories of discrimination and many have stemmed from acts that have horrified the world, resulting in an overwhelming support from people worldwide, in each case. 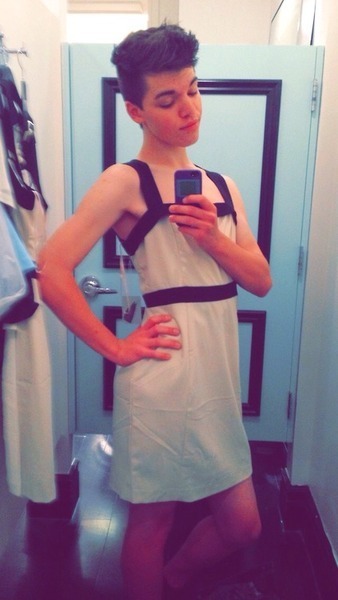 I want to talk about Leelah Alcorn. Born Joshua Alcorn in 1997, was a transgender girl. On the 28th December 2014, she committed suicide after her Christian parents refused to acknowledge her gender and forbid her from transitioning. She was 17. For the local community in Ohio, Leelah does not and has not existed. Joshua Alcorn, however, died on the road after being hit by a tractor trailer. 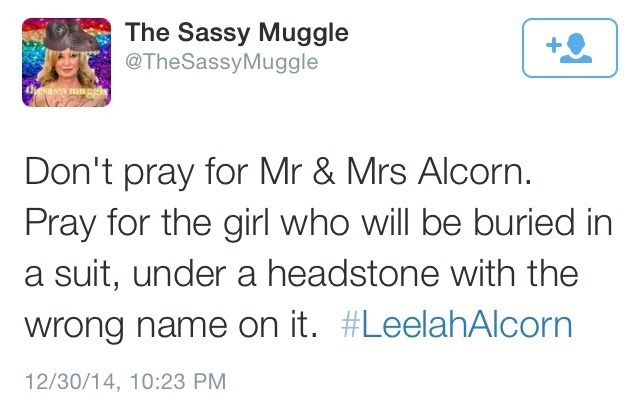 No recognition of Leelah’s identity, and no recognition of the true cause of death. 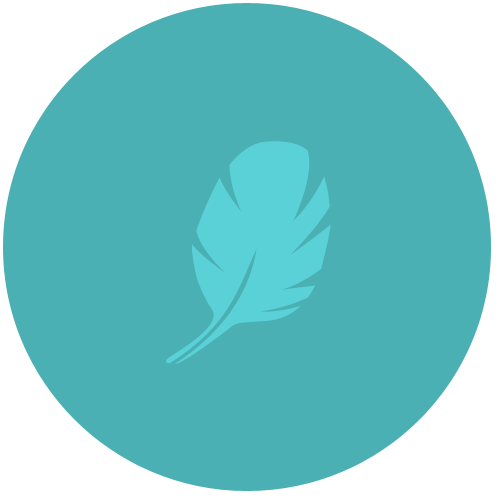 To the rest of the world, however, Leelah’s memory is being kept alive and communities – specifically online – worldwide are coming together to fight for her dying wishes. You see, Leelah had scheduled her suicide note to be posted on social media site tumblr after her death. This post has since been removed from Mrs Alcorn’s profile. Mrs Alcorn refused to refer to her daughter how she wished to be referred to and refrained from admitting that her daughter had committed suicide. How many people are going to have to die for we as a society to realise that being transgender or having a sexual orientation other than heterosexual is not a sin or a problem? How long is it going to take for this type of discrimination to be eradicated? I ask you, in the new year, to adjust your mindset if needs be: become more accepting and try harder to empathise and understand; fight for what is right and support others who might need help more than you do. If every person reading this post were to adopt the same mindset and share this wish, we could have an affect on the future. It isn’t my wish to preach to people, because I have no idea why they believe what they believe, but it is my wish to fight for equality; gender equality, racial equality, homosexual equality, gender identification equality, ect. One day, this world will be a safer and more accepting place for people of all sexual orientations, genders and races, why can this day not come sooner? How m any more people will need to be killed, how many more people will need to commit suicide, how many more wars will need to be started before people begin to take action? It shouldn’t take these horrendous and tragic events to take place for people to open their eyes and realise that something needs fixed, and we are the only ones who can fix it. Best wishes for 2015. Go on with your celebrations but, please, don’t forget. So so sad. No, suicide is NEVER what it takes. This is tradgic and a clear example of why our society needs to wake up and realise what it’s doing to people. R.I.P. Beautiful Leelah. Her “real” name is surely the one she chose to identify herself by. The “right way” would mean that Leelah was buried and remembered as she would have wished to have been buried and remembered. It is sad indeed. It is utterly tragic that a young woman could have been led to give her own life because of the ignorance of other people. Being transgender is not a disorder. Just as homosexuality is not a disorder. If anything can be considered a disorder, it’s the ignorance in which one cannot understand that transgenderism (and similarly homosexuality) is not a sin or a “disorder” but rather completely normal. Dawww~ ;^; so sad & heartbreaking! RIP!